Bill Darlison: Roads for Travelling Souls: Aquarius (2): O, Brave New World! Procrustes – whose name means ‘He who stretches’ – was a Greek blacksmith who kept a house by the roadside in which he offered hospitality to passing strangers. ‘Come inside,’ he would shout as people passed by. ‘Enjoy a lovely meal and then sleep soundly in my special bed.’ When people asked him what was so special about his bed, he would tell them that no matter how short they were, or how tall, the bed would fit them exactly. What he didn’t tell them was that as soon as his guest fell asleep, Procrustes would go to work, stretching a short one on the rack or chopping off the legs of a tall one. The great Greek hero, Theseus, stayed with Procrustes but he turned the tables on him: he pushed Procrustes on to the bed and chopped off his head and his legs. Three quarters of the present area of the U.S.A. will sink under water. The Third World War will begin in 2009 and last until 2014.On March 17th 2008 or 2009, a deluge will hit the U.S.A – starting from Lake Michigan. Until November 2013, 200 million residents of the U.S.A will die from a devastating series of deluges there. 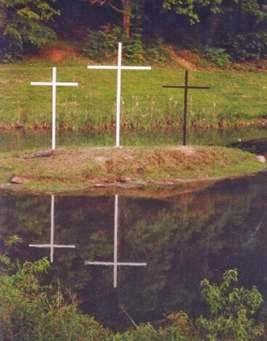 In 1990 I saw a television programme about an eccentric millionaire, Bernard Coffindaffer, who was buying plots of land up and down America and having three huge crosses erected on them, representing the three crosses that stood on Calvary at the time of the crucifixion of Jesus. Before his death in 1994, he had spent $3.000,000 dollars on the project. During our drive across the States in 1991, Morag and I actually saw one of these strange, imposing and unsettling triptychs, and wondered why on earth anyone would go to such trouble and such expense, and, more importantly, why the secular authorities would allow these sectarian icons to dominate the rural landscape. The elderly millionaire didn’t erect these crosses himself; he spent his time sitting in his garden, gazing towards the east, because, he said, that’s the direction from which the returning Jesus would descend. ‘I’m doing it,’ he said, ‘so that the Lord will feel at home when he returns to earth’, but why Jesus would want to see the instrument of his own cruel death the man didn’t bother to say. millennia. The problem is that although they look like prophecies, for the most part they are nothing of the kind. They belong to a multi-layered, poetic, highly symbolic and highly stylized genre called ‘apocalyptic’, a Greek work meaning ‘unveiling’, ‘revealing’, and in their Jewish context they are not so much predictions of specific incidents in the future, as general expressions of the dire consequences of collective sinfulness in the present. 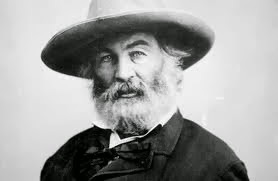 The fact that these dire consequences are presented in the language of cosmic upheaval – the sun refusing to give its light, the stars falling from the sky, unprecedented natural disasters – serves to stress, in metaphorical terms, the writer’s conviction that human sin invites calamity of global proportions. Apocalyptic deals with the breaking down of what appear to be permanent structures, and the apocalyptic passage in Mark’s Gospel, chapter 13, begins with Jesus announcing to his apostles that the Jerusalem Temple, one of the most magnificent buildings in the ancient world, would soon crumble into ruins. 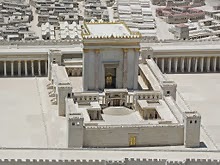 The destruction of the Temple actually did occur in 70 C.E., so if Mark’s Gospel was written before that time (as fundamentalist scholars claim), this statement of Jesus could be seen as a prophecy. However, whether or not it’s a genuine prophecy, it’s certainly in the right place. It occurs in the Aquarius section of the Gospel, just before Jesus sends out his apostles to meet the Aquarian figure of the man carrying a jar of water, and Aquarius was associated in the ancient world with the toppling of structures. It was said to be ruled by the planet Saturn, just as was Capricorn, the previous sign, but, while the Saturn of Capricorn was associated with building up, stability, conformity, control, the Saturn of Aquarius was concerned with destruction, anarchy, and death. Saturn is the Roman equivalent of the Greek Cronos, Time, who, as The Grim Reaper, is depicted carrying a scythe, the symbol of death. According to the Greek myth, Cronos – Saturn - ‘eats his own children’, a perfect metaphor for the way Time eventually consumes everything it has itself generated. 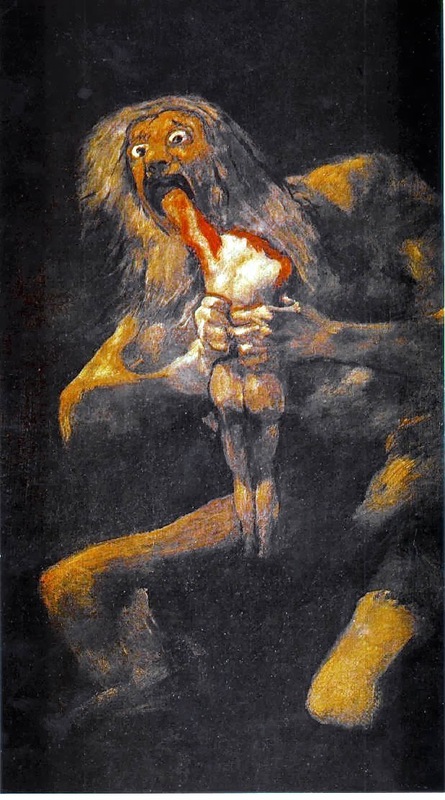 Goya’s famous picture of Saturn devouring his son is one of the 19th century’s most horrifying works of art. This 'sudden gleam divine', this ‘new, great and wonderful world’ will not be handed to us by some political messiah, nor will it be inaugurated by some god or demigod, who drops down from the sky. The world is already great and wonderful; we have just lost the ability to perceive it. Human beings have amazing capacities which lie neglected and atrophied under the dead weight of our limited self understanding and our frantic and fruitless search to find happiness in material accumulation and competition. When we, inheritors of the Christian tradition say, ‘thy kingdom come’ we should not be praying, forlornly, for a political and economic Utopia, but, hopefully, for a new mind to be born within us, a new consciousness, which will see all things differently. Once again your words sound out truth. The ADDITIONS indicate how a dialogue in reply might go if we were face to face. The kingdom of God is the transformation of individual consciousness, which comes unexpectedly, ‘like a thief in the night’, and when it does, it will turn our interior universe upside down, shattering our world view. The sun, moon, and stars of our interior space will tumble from their orbits; our former certainties will be destroyed, our petty aims and expectations will be totally transformed. Our world will never be the same again. The transformation of consciousness, which Christians know as the coming of the kingdom of God, is described by all the spiritual traditions in similar terms. BUT THEY DON"T KNOW IT! vivid with wonder and freshness. It is as if the roof of your mind were flying off…..
as if a seal were broken open. nor will it be inaugurated by some god or demigod, who drops down from the sky. The world is already great and wonderful; we have just lost the ability to perceive it. Human beings have amazing capacities which lie neglected and atrophied under the dead weight of our limited UN-self understanding and our frantic and fruitless search to find happiness in material accumulation and competition. All things ARE THE SAME BUT differently FORMED. If the doors of perception were cleansed every thing would appear to man as it is, infinite. For man has closed himself up, till he sees all things through narrow chinks/SLITS of his cavernOUS HEAD-PIECE ARMOUR. to open up the chinks/SLITS in the cavernOUS CRANIUM PRISON of the MANACLED mind. are led to by the HU-man carrying the WOMB-MAN OR jar of water. prepare for us there,’ says Jesus. WITH SOL INVICTA'S TWIN IN FULL MOON REFLECTION.